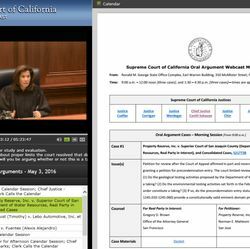 expand public access by live streaming oral arguments with captions in English and Spanish. From September 2015 to August 2016, the court issued 78 written opinions, which decided matters of statewide importance, maintained uniformity in the law throughout California, and disposed of 19 automatic appeals filed with the court following a judgment of death. Petitions for review, and habeas corpus petitions (both capital and non-capital) represented the other main workload drivers, and the court continued to exercise its responsibility to review both attorney and judicial disciplinary matters. January 5, 2016, marked one year since the swearing-in of Associate Justice Mariano-Florentino Cuéllar and Associate Justice Leondra R. Kruger. The court continued its 15-year tradition of outreach to students to broaden their understanding of the judicial branch. In addition to opening its courtrooms to the public in San Francisco, Los Angeles, and Sacramento, the Supreme Court annually brings oral arguments to local high schools and law schools. Court staff work with schools months in advance of these sessions so that students can discuss the cases with their teachers before hearing arguments in court. This year the court set up in the Milton Marks Auditorium in San Francisco to accommodate more than 100 students, teachers, and other members of the public interested in observing oral arguments on October 6, 2015. High school students from Oakland and law school students from Los Angeles gathered in San Francisco to hear three cases on the court's morning calendar. Following the morning session, Chief Justice Tani G. Cantil-Sakauye invited students to remain while selected students asked questions of the justices. The session is available on the California Channel. The court began providing remote access to its oral argument calendar sessions in May 2016 and began live webcasting with real-time captions in English and Spanish. The court received more than 8,000 live views during its May and June oral argument calendars and has established an archive where all of its webcasts can be accessed online. Use of this technology has benefited key stakeholders and exposed thousands of viewers to court oral arguments and procedures. It has also assisted the media in pursuing accurate information concerning court activities. Effective July 1, 2016 the court amended the California Rules of Court to eliminate the practice of automatically “depublishing” published Court of Appeal decisions when the Supreme Court grants review. This action followed a public comment period during which nearly 40 comments were received from numerous bar groups, lawyers, and judges. The court’s decision to adopt the amendments was unanimous and the court plans to revisit the issue within three years to assess the need to make any further changes. "These changes will allow useful Court of Appeal opinions to live on after review by the Supreme Court, to the extent they are not inconsistent with the decision of the Supreme Court," said Chief Justice Cantil-Sakauye. "The rule change is the culmination of input by many—including the California Attorney General, the State Bar, the California Academy of Appellate Attorneys, the California Judges' Association, and Court of Appeal justices—tracing back nearly forty years." In its appointment of State Bar Hearing and Review Judges to the State Bar Court, the court continued its oversight of its administrative arm, the State Bar of California, and its professional members who are officers of the court. 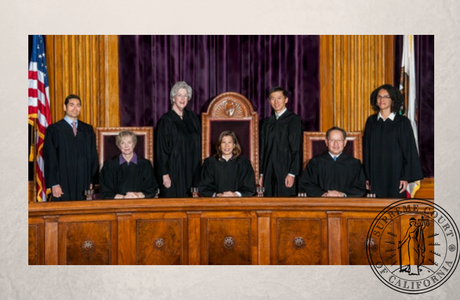 The court's committees, the Advisory Committee on the Code of Judicial Ethics and the Committee on Judicial Ethics Opinions (CJEO), continued to provide judicial ethics guidance and support to California's judiciary. CJEO provided opinions, following public comment, on issues ranging from the disqualification of a judge who is a former prosecutor from a criminal proceeding, to guidance for judges on attending political fundraising or endorsement events. 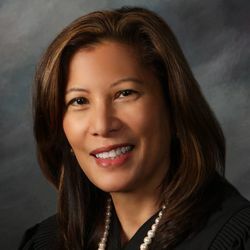 Chief Justice Cantil-Sakauye and judicial leaders in California's six Courts of Appeal also approved a new policy allowing judicial branch staff attorneys to provide pro bono legal services without compromising their work for the appellate courts. * “Other matters” under Civil and Criminal Original Proceedings includes such matters as requests for publication and depublication of Court of Appeal opinions, executive clemency proceedings, and requests from another court in the country that the court answer a question of California state law. The Supreme Court considers September 1–August 31 as its court year because that reflects the natural rhythm of the court's work. Supreme Court oral argument is set for 10 months out of every court year with June as the last month. As a general matter, opinions for cases argued by June are filed by August 31.